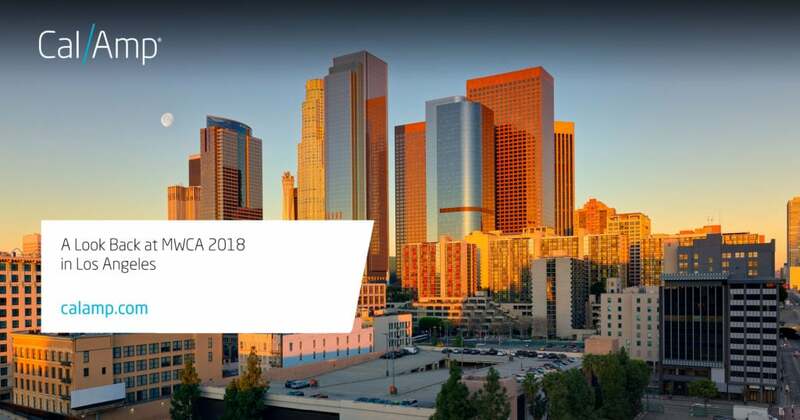 Mobile World Congress Americas (MWCA 2018) recently wrapped up in Los Angeles, but the conversation will continue, especially around cool innovations and key themes that will continue to make headlines such as 5G, artificial intelligence, IoT, content and media, drones, blockchain and even policy and regulation. As expected, 5G made headlines at MWCA. You couldn’t avoid it and that’s not a bad thing. For instance, T-Mobile announced plans to rollout Cisco’s new core networking solution to its 70-million-plus T-Mobile faithful. As you know, 5G technology will take mobile connectivity to a new level, ushering in super high speed applications and services that will forever change the customer experience. Given CalAmp’s focus on transforming the connected vehicle ecosystem, I was particularly excited to hear about Qualcomm’s announcement related to the automotive space, an area outside of Qualcomm’s usual domain. The company talked about innovations it was making for connected car and the autonomous driving sector — which will also benefit from the emergence of 5G wireless networks. Another announcement I found intriguing involved Adobe, not exactly a software company I associate with connected car applications until hearing about it at #MWCA18. Adobe Analytics said it was entering the connected car market to better understand the intersection of in-car analytics and mobile app analytics so that brands can create even more personalized experiences. Most of us interact with our cars and a number of brands every day using our mobile apps. Auto manufacturers want to capture this blend of data to design and deliver the best possible in-car customer experience based on consumer preferences to nurture a better brand experience. All of these announcements jive well with what we are doing at CalAmp. Right before MWC Americas, we announced SureDrive 2.0, a connected car app that delivers highly detailed crash alerts and real-time driver behavior information to improve driver safety. We developed this technology to improve — guess what — the user experience. With roads more congested than ever and drivers more distracted than ever, we firmly believe road safety has to be part of any connected car or connected vehicle discussion — whether it’s a new IoT solution, policy or regulation. We think potentially saving your life or that of a loved one is a pretty good user experience. The connected economy expands past connected cars and another area that we announced involved a major scooter manufacturer and Premier Wireless Solutions to advance the micro-mobility e-scooter revolution sweeping across the U.S. We are supplying telematics and IoT technologies to support the launch of e-scooter sharing services in urban areas. Data generated from sharing services will enable micro-mobility providers to more responsibly manage their fleet and allow riders to locate a nearby e-scooter and access mileage as well as usage and payment information. The e-scooter announcement builds on CalAmp’s portfolio of services for a broad range of players in the automotive and alternative transportation sectors, and represents the enormous potential of this growing marketplace. So that’s my take on MWC Americas 2018. Until next year. By the way, in the next few months we should have more news and innovations to share that will continue to demonstrate our leadership in the connected vehicle economy and IoT ecosystem.